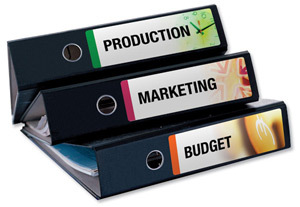 Don't let filing get you down, simply create an effective system you can manage with our range of File and Folder Labels. 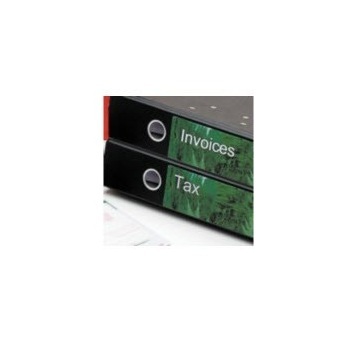 From Legal files, box files or lever arch files, printed labels give your files and folders a neat, professional look and with free Avery® Templates and Software programs you can easily design or customise your labels in a flash. 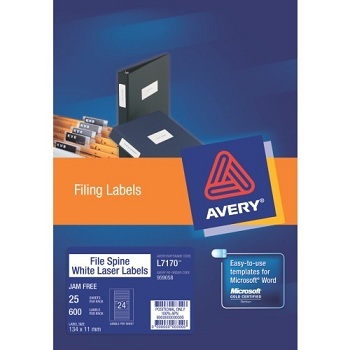 Avery White Laser Labels specifically designed to fit the spine of euro folios and files. 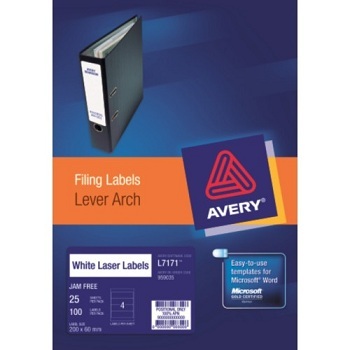 Avery White Laser Labels specially designed to fit the spine of lever arch files. 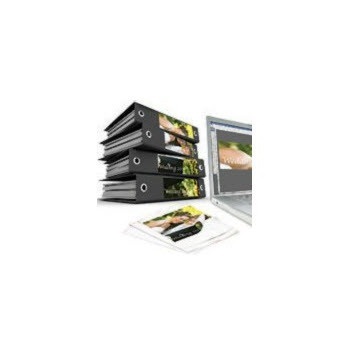 Avery White Panorama Binder Filing Inkjet / Laser Labels with great software to add your style to your filing. 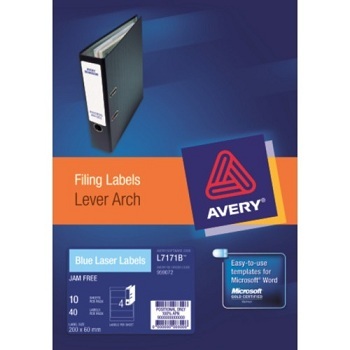 Avery Blue Laser Labels specially designed to fit the spine of lever arch files. A4 Size - Blue - Permanent adhesive. Avery Green Laser Labels specially designed to fit the spine of lever arch files. A4 Size - Green - Permanent adhesive. 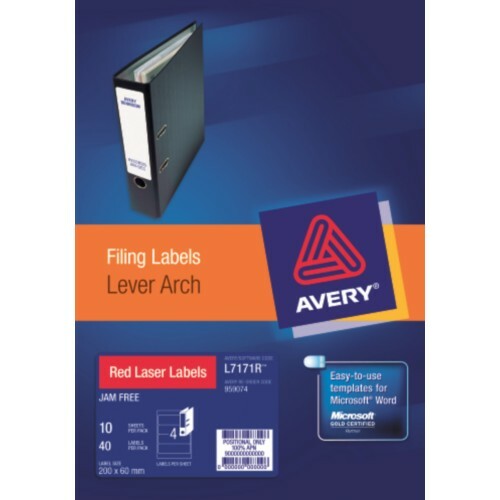 Avery Red Laser Labels specially designed to fit the spine of lever arch files. A4 Size - Red - Permanent adhesive. Avery White Laser Labels specifically designed to fit the spine of Ring Binders. Avery Yellow Laser Labels specially designed to fit the spine of lever arch files. A4 Size - Yellow - Permanent adhesive. 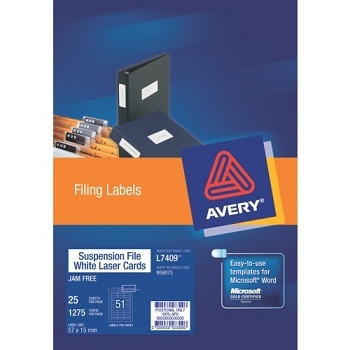 Avery White Inkjet Labels specially designed to fit the spine of lever arch files.